They do this for a living. Pest Management Professionals dedicate their time to pest management and have completed the necessary training and licensing required to become a pest control operator. Proper Installation. Proper installation of TAP® Pest Control Insulation is necessary to ensure that the R-value and pest control qualities of the insulation are not compromised. 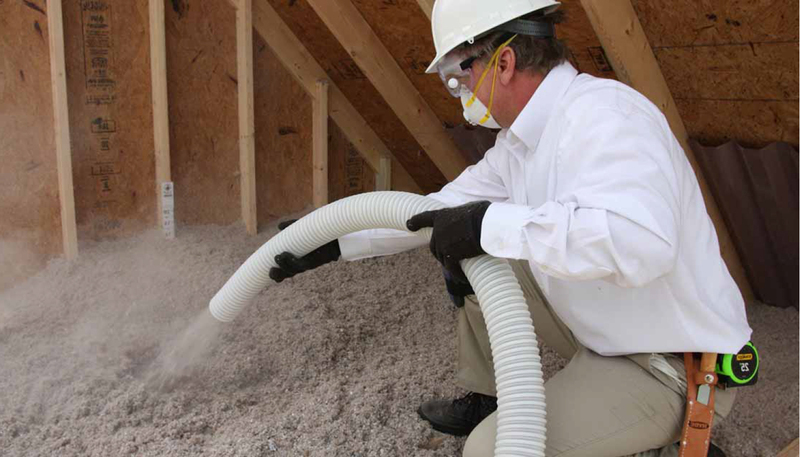 Additional knowledge of attic ventilation, vapor barriers, vent blocking, and more are necessary to complete the installation. Knowledge of the product. TAP® Pest Control Insulation providers receive special training to evaluate and install a TAP® job. Your provider will also have knowledge of local codes and regulations and will have experience handling TAP® Pest Control Insulation. Necessary licenses and insurance. Because TAP® Pest Control Insulation is an EPA-registered pesticide, it is required that the Pest Management Company has a pest control license. Pest Management Professionals work hard to obtain and maintain their pest control license. Safety. Pest Management Professionals are mindful of safety when working in a confined space such as your home’s attic as well as the proper Personal Protection Equipment to keep them safe. Price. Many professionals buy insulation and materials at a special reduced rate and invested in the tools required for preparing and installing TAP® Pest Control Insulation. This is a cost that often breaks the DIYer’s budget. Still need more insight? Check out the differences in DIY insulation installation versus hiring a professional here. Ready to contact a TAP® Pest Control Insulation provider in your area? Click here to begin.